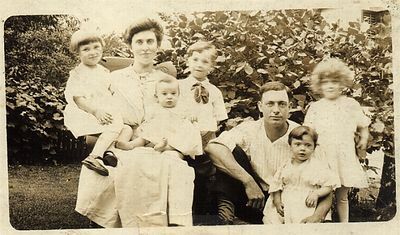 Old family photographs from my dads side of the family, the Chenevey's and the Martheys'. .
Family Portrait taken around 1921 or 1922. 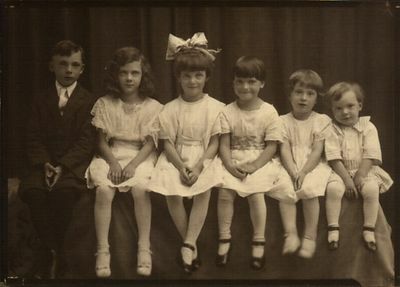 Ray, Odile, Marge, Gert, Eileen & Archie (dad). 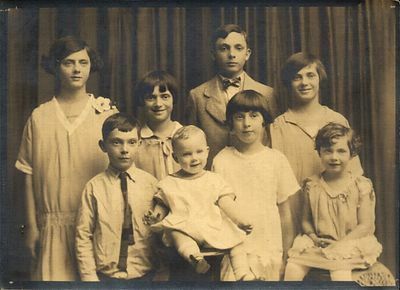 Dads childhood family portrait taken around 1927 when he was around 8 years old. 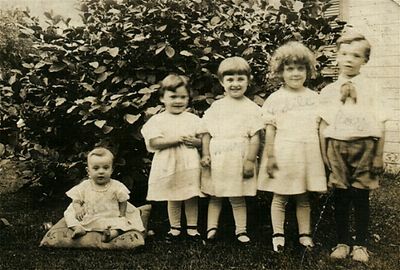 (back row L-R) Odile, Gert, Ray, Marge. 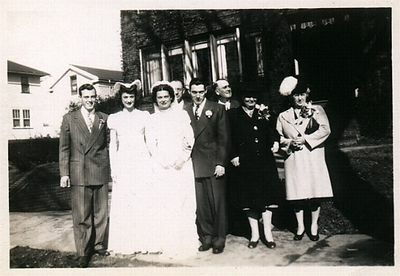 (front row) Archie, Hal, Eileen, Theresa. 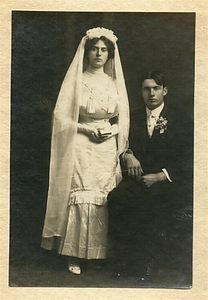 Grandma (Josephine) and Grandpa (Arthur) Chenevey's wedding picture, Novembr 1912. 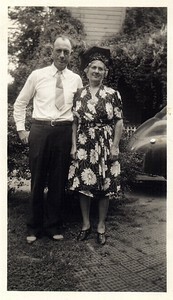 Arthur and Josephine Chenevey early 1960's. 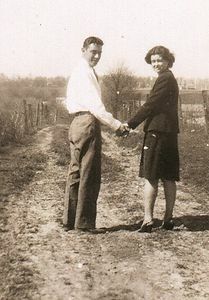 Mom and dad taking a stroll at dads parents farm. 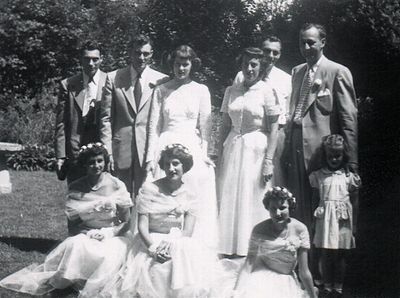 Mom (Dorothy) & Dads (Archie) wedding day, Uncle Hal as best man, Aunt Pat as maid of honor, with both sets of parents in the background. 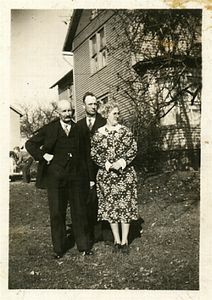 The Marthy Family picture. 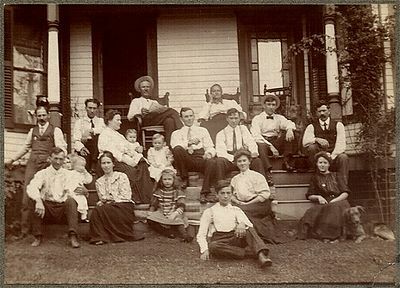 Grandma Chenevey is the young woman in the white blouse sitting on the bottom step. 1912 Marthey Christmas greeting, Josephine Chenevey (top step on the left in white blouse), Arthur Chenevey directly below her. 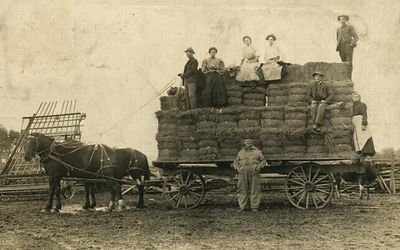 The Haywagon, The Marthey Family farm. 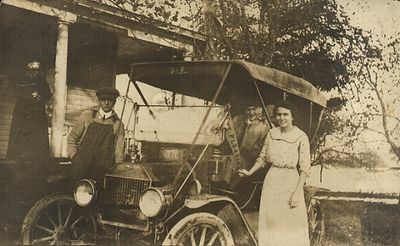 Dated 1910. Josephine and her sister Priscilla are sitting on the top row of the hay. Another Marthey Christmas greeting. 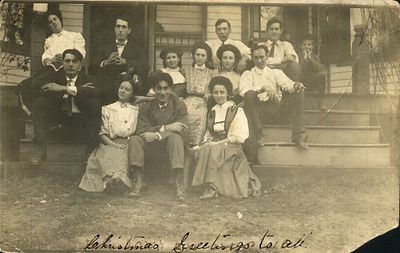 This one is from 1912 and sent to Josephines father from his brother P.J. 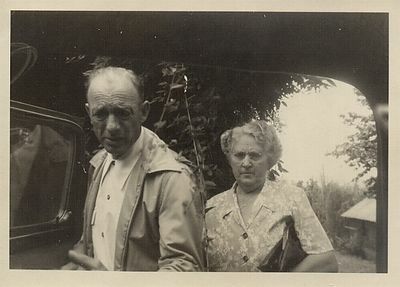 Josephine's Uncle PJ is sitting in the car, while her grandmother (my great, great grandmother) is standing on the porch. 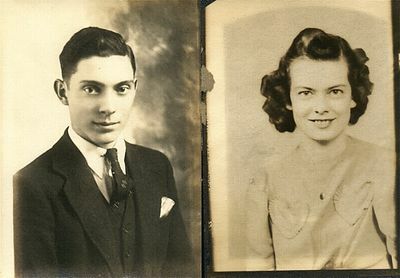 Hubert Chenevey (granddads father) Arthur and Josephine Chenevey, dated around 1940. 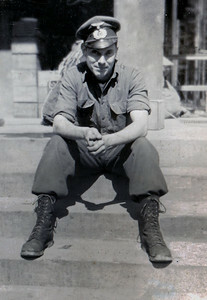 A photograph taken in Calmoutier cemetary. 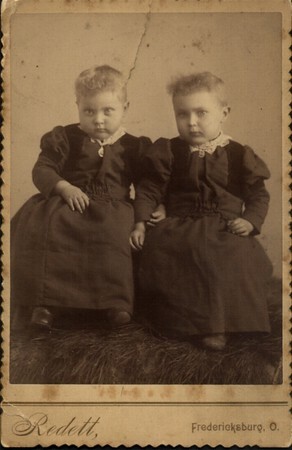 This was sent to Josephine Marthey (Chenevey) at /or around 1910. The setting of the cross in the newer section of St Genevives Cemetary. 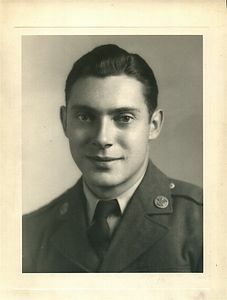 This picture is dated before my grandmothers marriage to my Grandfather. 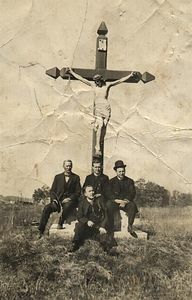 So, it appears to be from around 1910. 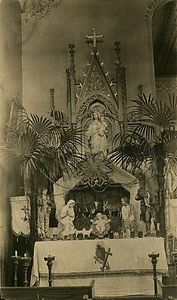 The alter from the second St Genevieve Catholic Church in Calmoutier, Ohio. 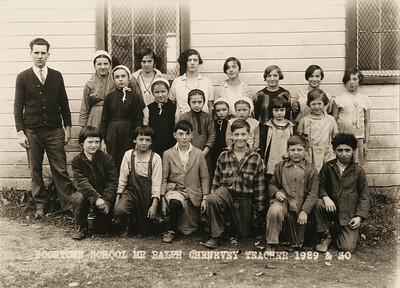 The church burnt down in 1948. 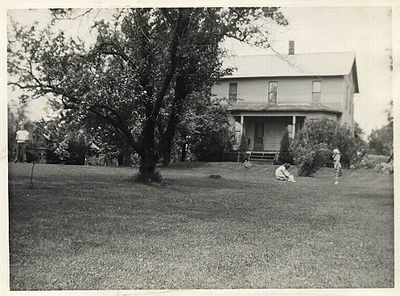 The Chenevey family farm which was built by Josephines' Great Uncle Peter, where she was raised.. 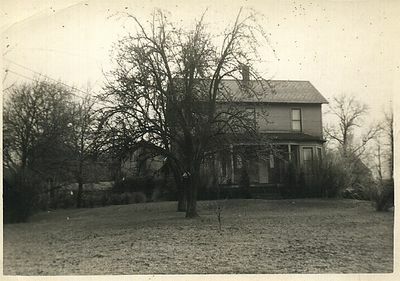 In 1917, Josephine and Arthur bought the house from Josephines father, who had purchased the house from his Uncle Peter years before. It still stands today. 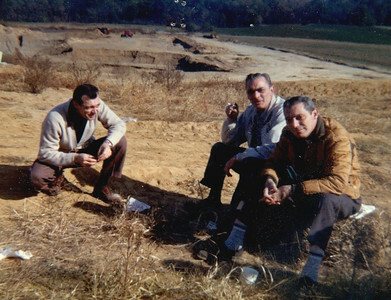 It was sold in1963 to an amish family. 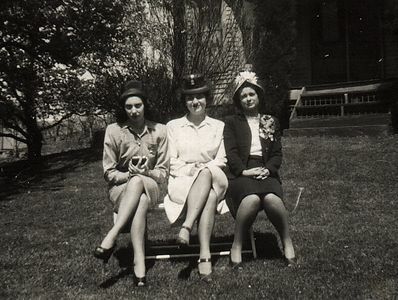 Easter 1946. 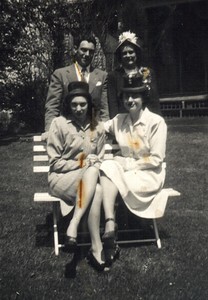 Aunt Theresa and Aunt Gert (sitting), Dad and Mom Standing. 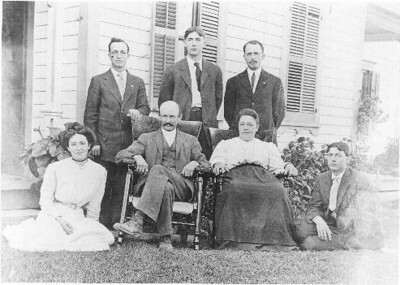 1909: Arthur Chenevey on the far right. 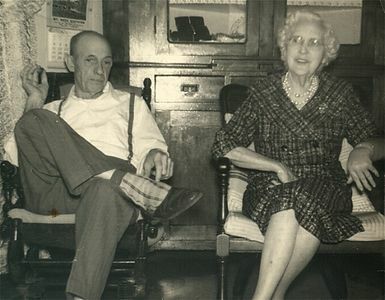 His parents Hubert and Mary sitting in the center. 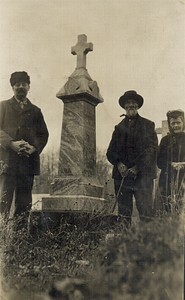 His sister and brothers are to the left of him.